Apply > Articles for Childcarers > What does an afternoon au pair do? 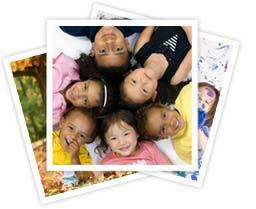 Have 1 or more years of experience working with children aged from 6 to 13 years of age. Have completed a SETA approved first aid course (minimum of level 1, valid for 3 years) and regularly update this. It is not a requirement, however if you have completed an early childhood development course, Bachelor of Education , psychology, language, art, sport or music related degree it will be a huge bonus. You need to have excellent marks academically in Matric as you will be expected to assist the child/children with homework and study assignments as well as preparation for exams. You must have a real passion for working with school going aged children. A loving, patient and nurturing personality is a must. You need to be highly organised and have great time keeping skills. Working with this age group normally involves handling a very busy schedule and the planning and implementation of this schedule. Learner care specialists can be requested to half day, everyday or a few days a week, sometime occasionally a client will also request morning lifting and afternoon assistance, dependant on their needs. It is your choice to apply for a position or not. Bathing of the child/children (applicable to children aged up to 8 years old) or running a bath for older children. Assisting with homework, projects, research and teaching the child to study, preparing for exams.